Live vicariously through people on their Disney vacations by hearing all about their trips - an overview of their trip before they leave, and a detailed report when they get back to find out how it really went! We'll hear all about trips to Disney World, Disneyland, Disney Cruises, as well as some international Disney parks! Hear all about Jennifer's trip to Walt Disney World, staying at the Beach Club! Hear all about Briana's trip to Walt Disney World, staying at Pop Century! Hear all about Natalie's trip to Walt Disney World, staying at Pop Century and Port Orleans Riverside! Hear all about Natalea's trip to Walt Disney World, staying at the Polynesian and Saratoga Springs! Hear all about Jen's trip to Walt Disney World, staying at the Polynesian! 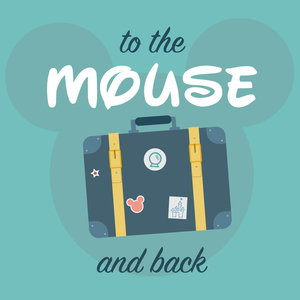 Ep 18: My WDW Trip! Hear all about my family trip to Walt Disney World, staying at the Contemporary! Danny from Average Dis Nerd joins me for a discussion about how to do Disney without constantly being surrounded by kids. Hear all about Lauren's Halloween family trip to Walt Disney World, staying at the Polynesian! Hear all about April's first time planning a family trip to Walt Disney World, staying at Art of Animation! Hear all about Justin and Natalie's anniversary trip to Walt Disney World, staying at the Polynesian!